We are one block from the 13th street exit of the Green/Yellow line"s U-Street/Cardoza stop. Enjoy 1/2 price draft cocktails in the bar and dining room. brief and did not seem more knowledgeable/solutions-oriented than anyone else. He told us there were no high chairs, but our server found a booster0 seat and brought it right over. The manager also tried to convince us that our 7 year old would be charged for all-you could eat at $29 for the brunch. The notion is Ridiculous and different than other places that charge $1 for each year of kids who are under 12. Similar to other DC brunch places but the poor customer service from management could be the difference between selecting Tico again or not. Thankfully, the server was great and attentive. Everything we ordered was great...the prices are just double that of comparable restaurants. This place is always delicious, and great for a group of friends! Also, the rose sangria is particularly amazing. Food was great, drinks were great. Great for groups - easy tables with bottomless food and drinks for a reasonable price. Expo needs some help - don't count on getting what you ordered (and especially not modifications) unless you check in with your server a few times. When the food comes, though, it is tasty! 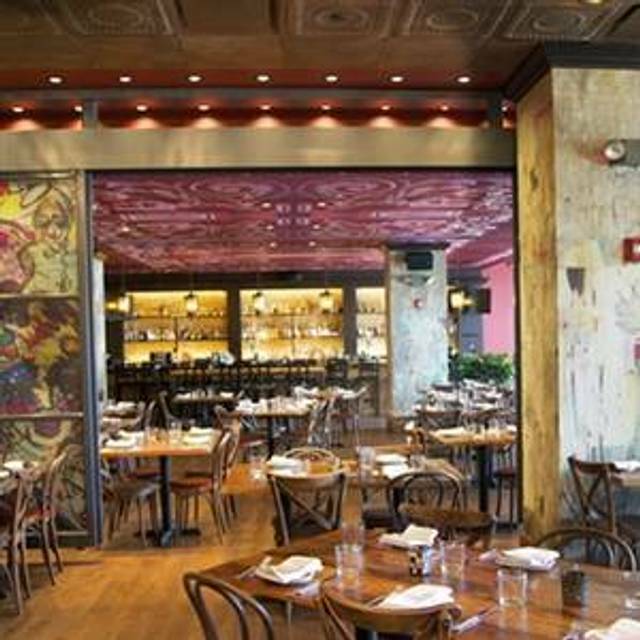 Excellent unlimited brunch tapas — a good variety, including multiple vegetarian options. Ideal for a group of 4+ people. 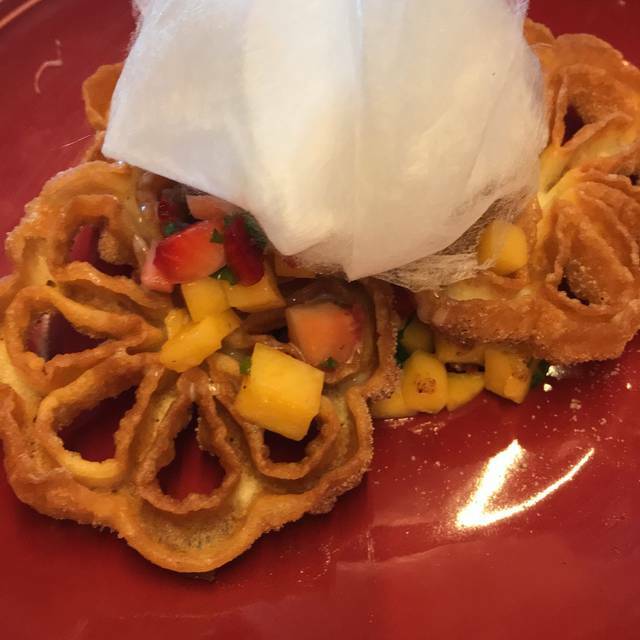 The churros are a must-try item. I did not think the food was very good especially for the price and the service was slow. The food was amazing...Duck Quesadilla , Fish Taco and Calamari were to die for. It was a good experience with good food good friends. We will definitely come back. Great atmosphere (especially on a nice day when the windows are open); food was excellent, and margaritas yummy as usual! Crispy Brussels, pork and crispy fish tacos, cauliflower, hibiscus margaritas by the pitcher, crispy calamari. All delicious fab tastes and textures. The best. Tico is a lovely concept - Mexican inspired small plates, great tequila with good gluten free and vegetarian options. We received awesome, friendly service. The place was pretty empty, being a Tuesday night so I cannot attest to quality of service when things are busier. Most importantly, everything we ordered was inventive and delicious. Attentive, pleasant service and lots of good-food choices for diners with sensitivities. We'll be back! The crispy potatoes were amazing, but the drink we had was a little too sweet for me. The tacos weren't that great, they were kind of cold. Our waitress was nice and attentive. We dd the bottomless food and beverages, we always had a good supply of food and drinks thanks to the friendly and attentive staff. Would recommend. This was my second time at Tico. I went back because the food the first time was amazing. Unfortunately, this time the food was not good at all. They changed the menu. Even though the service was good, I probably won't come back again. We love this place but the food was not great. The tuna tartar was flavorless, the fish tacos very fishy. The server was amazing and replaced the bad tacos for tastey beef ones. What was once a great spot to go for tacos is getting a little too used to the business of 14th street and their food needs some help. I found the manager (White guy) to be very unprofessional ! I had a reservation at 1230pm. I got there early (1215) to get the table. I excused myself to go to the bathroom. I had to run to my car. When all the guests arrived at 1230pm, we were informed the table was given away. It was reported that because I left the table was given away. However, our reservation was at 1230pm?!!! Then , had the audacity to say it would be 20 mins for another table ! Fortunately, he got us a table before we caused a scene. Once we were seated and served by the black server, he was great! He allowed me to go from a table of 4 to a table of 6. Not to mention, he brought out complimentary champagne for the table . I wasn’t drinking but was charged for Virginia Mojitos and that was lame !!! Great food! Love the small plates concept. We were able to try the entire menu. Service was good. We went, on a recommendation from a coworker, for a pre-concert bite to eat and had a great time. The food, service, drinks....it was fantastic. I will definitely be returning in the near future. We grabbed dinner here on the last night of a short trip to DC, which was a Sunday night. It was fairly empty during the dinner hour at that time - it doesn't seem like a current hot spot, but we really enjoyed it. We ordered the smaller chef's choice option, which was a lot of food (I think you'll need to be ravenous or not eat everything for the bigger chef's choice). The service was very good. My fiancé had a margarita, and it was tasty. The chef's choice that night had a number of courses, I think mostly from the regular menu. We started with something like a jicama salad (it was clean and tasty). We then had cauliflower and the roasted shishito peppers, which were awesome, and I think possibly the salmon tartare. We had shrimp and beef tacos, which were divine, and then churros. I think this is the first time I've ever been to a restaurant with Southwestern/Border/Mexican food with a chef's choice menu, but I would definitely recommend this as the way to go, and again, although it was not very full, the service is great and I don't think this detracts. Could not handle the Friday night rush. I attended brunch with 2 other friends this past Sunday at 1:15pm. This was my second time attending brunch at Tico. However, this will be my last time attending Tico for any meals. The restaurant wasn't even full compared to what it usually is and the service was terrible. We waited for long periods of time to order both food and drinks. We opted for the bottomless option for food and drink but definitely did not get our money's worth. Because the waiter did not clearly explain the meal options there was some confusion with ordering and my friend was almost overcharged for her meal. I waited almost 20 minutes for my 2 small plates to come. When they finally arrived, the kitchen continued to resend the same dishes to our table without us ordering more or anything new. However, the biggest turn off for me was when I witness the "head chef" repeatedly use profanity and condescending language towards his kitchen staff in regards to keeping up with orders. My table was located in back right by the kitchen so it was easy to hear his interactions with the rest of the staff. During this visit, I also observed a waitress have a small heavy glass dish slide off her tray and hit a table and almost a customer before hitting the ground. A short while later, I witnessed another staff member drop and break multiple glasses on top of a table while trying to clear it off. The clean up for the amount of glass was not as thorough as it should have been. This was a very disappointing experience and I hope that management takes time to address the issues with the staff. There was nothing worthwhile of taking photos of. 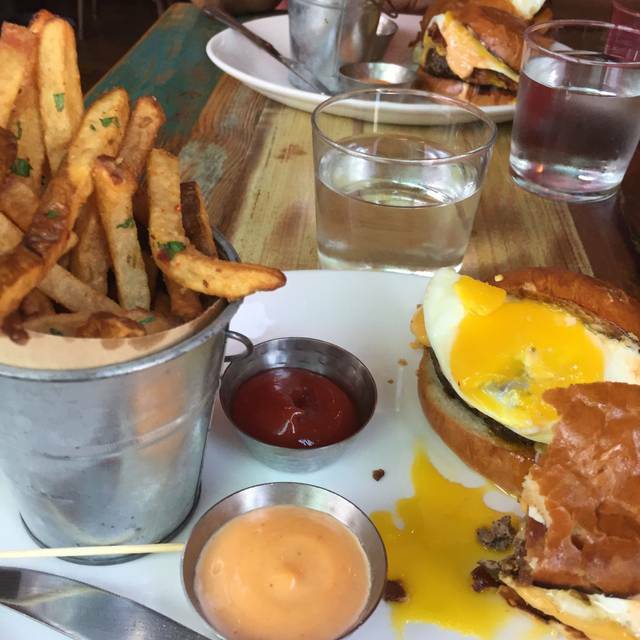 Overall, an enjoyable experience and would go back again for brunch. The food was great and the drinks were tasty. Our server was fantastic! Food and drinks were great as well. Fun place for brunch. I've always gone to Tico's for brunch as the food has always been excellent and I've always had great service. Unfortunately this time around, the service was not as great as we were constantly trying to get our server's attention. We had ordered all of the food that we wanted and it was constantly taking so long to receive each of what we ordered. In addition, we had to ask other servers to get our drinks refilled as our server was always nowhere to be found and had forgotten our last two dishes. The food was great as always, although they have a new brunch menu, I will always miss the breakfast burrito, I enjoyed the new menu but unfortunately this time around customer service was not so great. New brunch menu. So Tico changed from an a la carte menu to a preset $29 unlimited breakfast tapas. And with that change, unfortunately the quality of food has changed also. The restaurant is definitely busier now which makes a better atmosphere but also because of this service is worse. If you're looking for an unlimited food brunch then this is a good choice, otherwise try a different place for brunch. PS-gluten free, stay away, there's almost nothing on the menu for you. The restaurant manager, Justin, is always amazing. 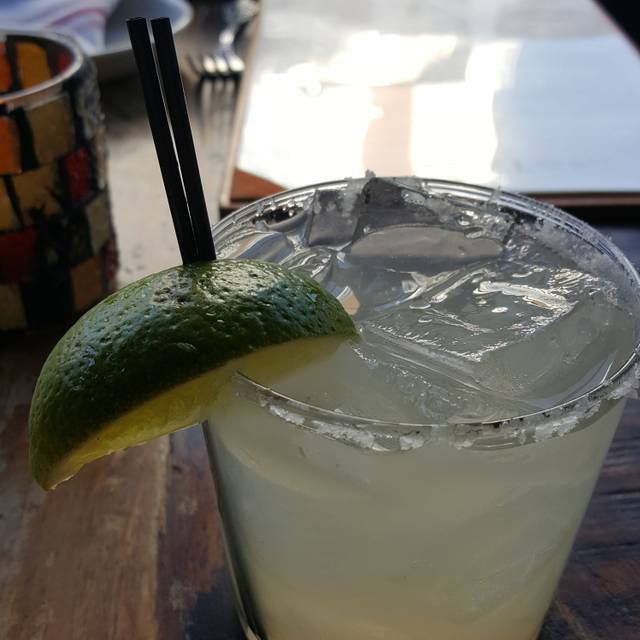 We celebrated National Margarita Day at TICO and it was delicious! The starters were incredible (queso, Brussels sprouts, and potatoes). However, we were not very pleased with the taco selection. We got the pork and beef tacos and they had no taste which was a let down since the starters were so good! The food at brunch was what you’d expect for a bottomless brunch. It feels cafeteria style but s much nicer ambiance. Went for Sunday brunch/ Outstanding service and friendly waiter. Great time had by all. Go when you're hungry. Many good choices in the fixed price menu. Result was a food coma. This restaurant was great for a girl's night, would be great for a big group, and the food was delicious. I definitely recommend getting the cauliflower! This is the best brunch in DC. 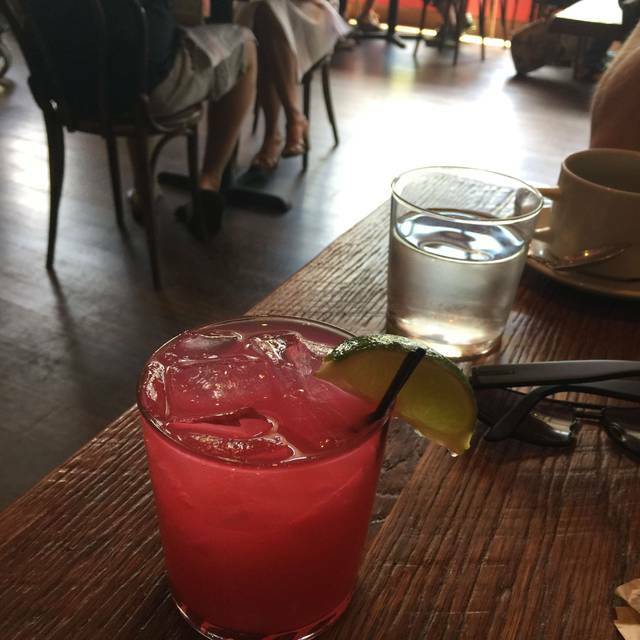 Everything that is wrong with bottomless brunch in big cities goes right at Tico. Unlimited food and drink and they really mean it. Service is exceptional. When you order one dish, they bring enough for the whole table and don’t waste your time by giving you mini drinks. Heavy pours and delicious plates - unbeatable!